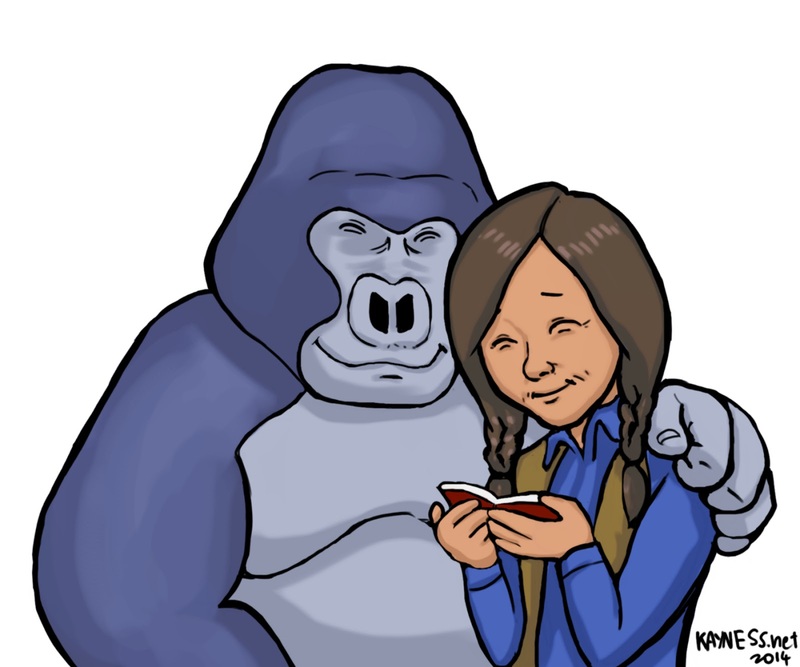 Kayness' Art Blog: Happy Birthday, Dian Fossey! Happy 82nd Birthday Dian Fossey! Shown here with her bff Digit. Just a quick drawing to acknowledge her. She was an inspiration to me! It was so sad what happened to Digit and how she must have felt! Google is honoring the American zoologist Dian Fossey on her 82nd birthday by showing a Doodle for her on its Home page.